Hey there, chunk of meat sitting in the refrigerator that I haven’t been inspired to cook. Screw it. Brown meat in dutch oven. Add in whatever I’ve got. Cider, spices, orange, tomato paste… 3 hours later, damn, that’s good. 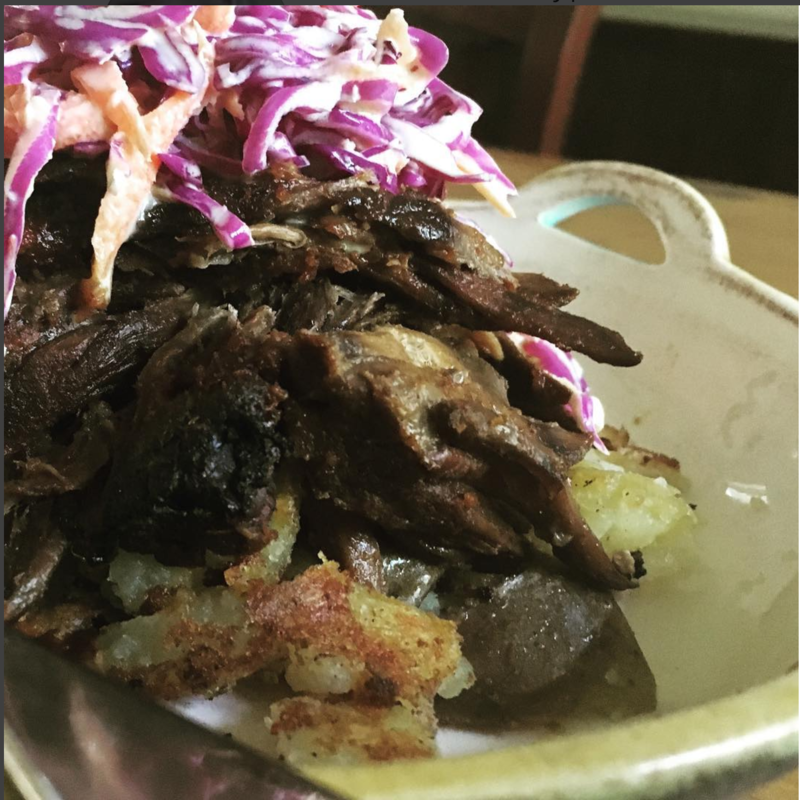 Served it over potatoes topped with slaw, and in hash. Stupid delicious. Preheat oven to 300°f. Heat oil in dutch oven over high heat. Brown beef on all sides. Add in the rest of the ingredients, stick in the oven and let braise for 2-3 hours, or until meat easily falls away when attacked by a fork. Shred when it gets cool enough to handle. Pull out orange slices. Mix beef back in with braising sauce. Serve however you wish.